Where flowers bloom so does hope. 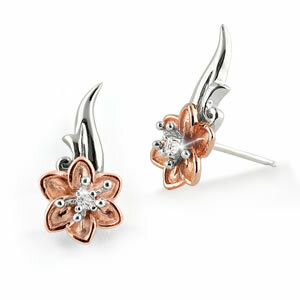 Award-winning designer Marjorie Andes has created these delicate 14K Rose Gold plated floral blossom Sterling Silver earrings as a symbol of hope for the cure for breast cancer. Officially authorized by the National Breast Cancer Foundation, Inc.® Click here to learn more about this important cause.